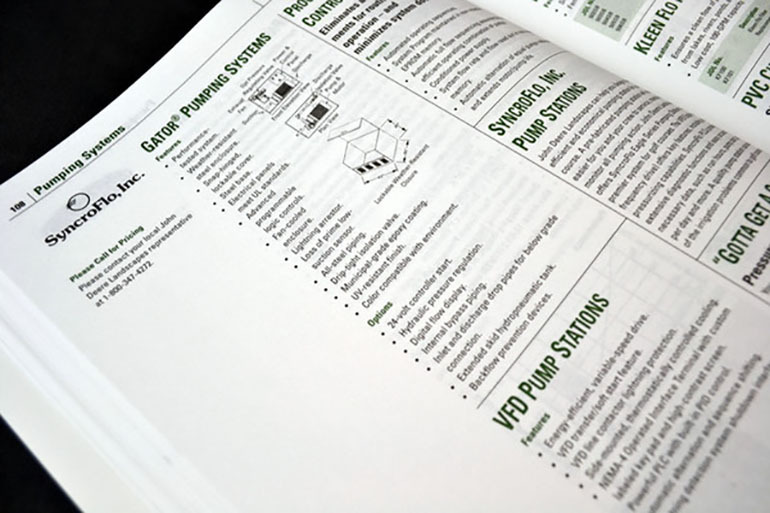 This catalog was printed in two versions, perfect bound (shown here) and saddle-stitched. The versions are the same other than the perfect bound version is printed on higher quality paper and the saddle-stitched version is printed on newspaper. The idea is that he saddle-stitched version can be used by those in the feel. It is supposed to be cheap and disposable. The perfect bound version is meant to be kept in office and used all year. 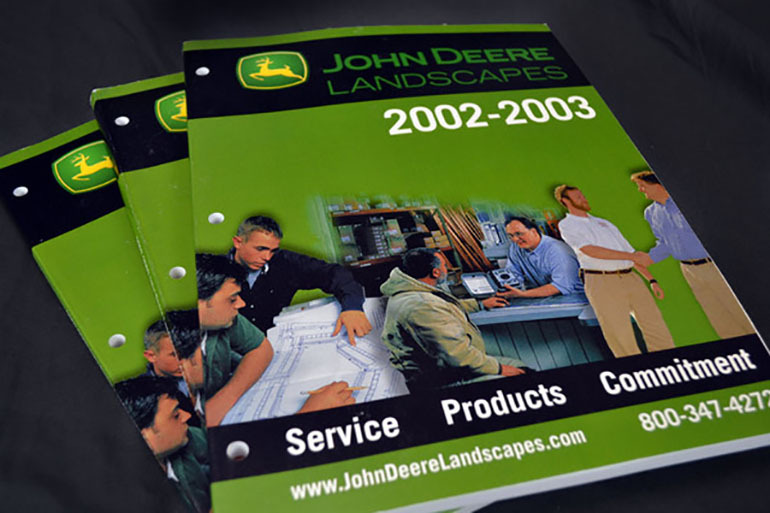 The catalog represents a redesign as John Deere bought Century Rain Aid. 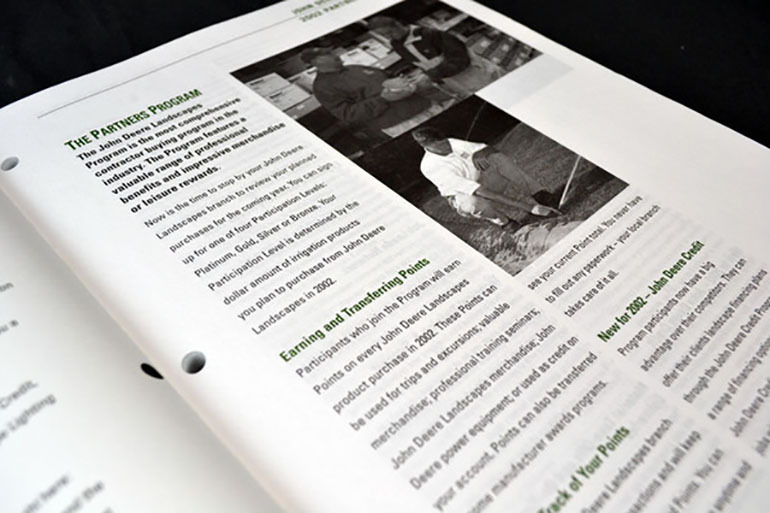 The design encompassed John Deere Brand standards and gave me the chance to clean-up the catalog. I had two weeks to get the first draft done from start to finish. The catalog is over 200 pages. The biggest challenge was getting images of parts. Many suppliers did not have images beyond CAD drawings, which necessitated taking photographs in order to have something for the catalog.